As you can see, I prepared all if the ingredients and weighted them all out into bowls before getting Mia involved, just to save on a little extra mess. 2. 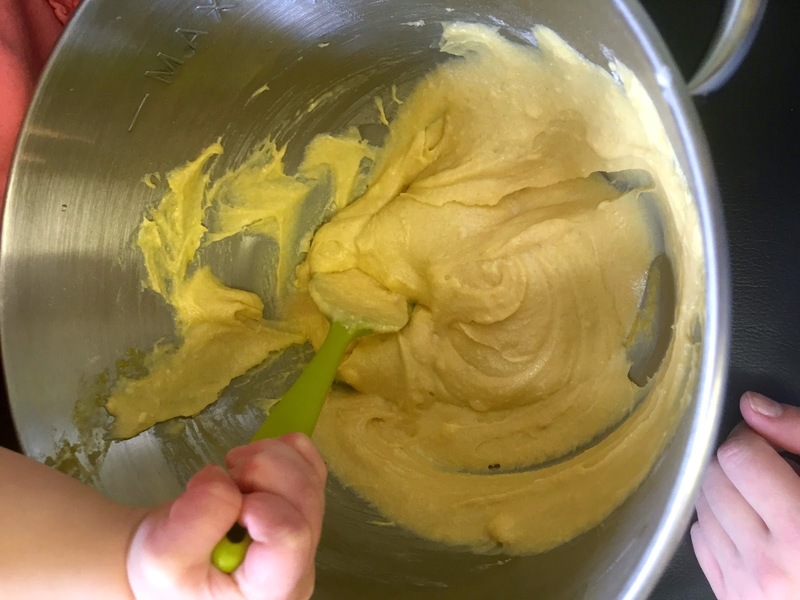 Mia poured each of the bowls of ingredients for the cupcakes into a mixing bowl and mixed them together until smooth and lump free. 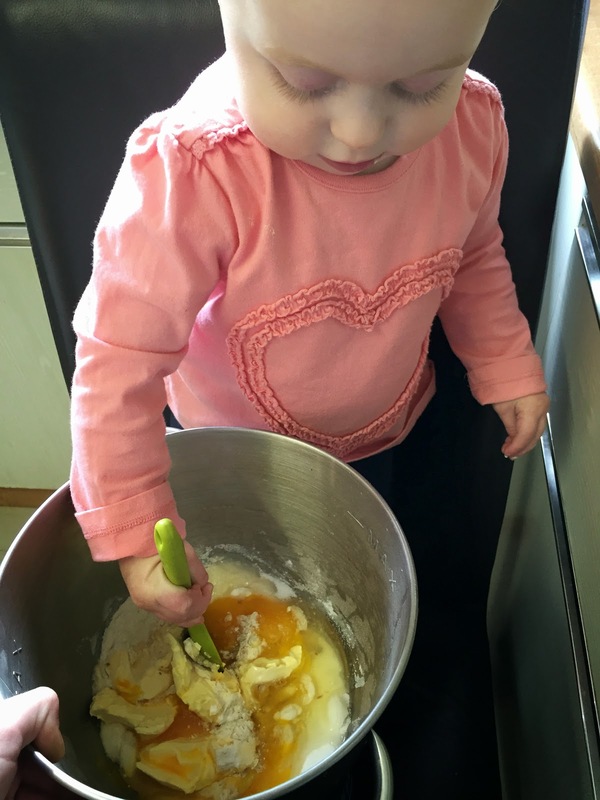 She couldn't really stir it but she spent ages trying and was really enjoying herself. 3. 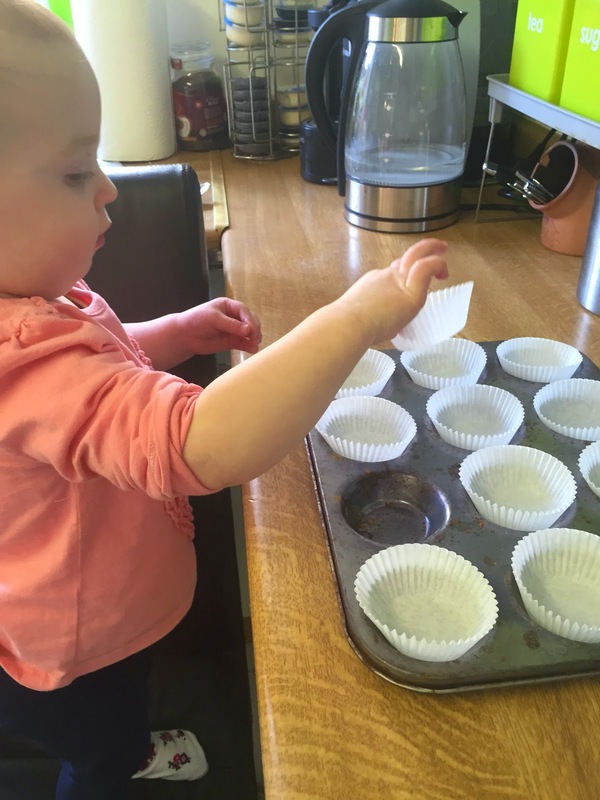 Once the mixture is blended together and smooth, using a teaspoon, spoon the mixture into the individual cupcake cases. Place them into the oven for around 15-20 minutes until golden. 4. 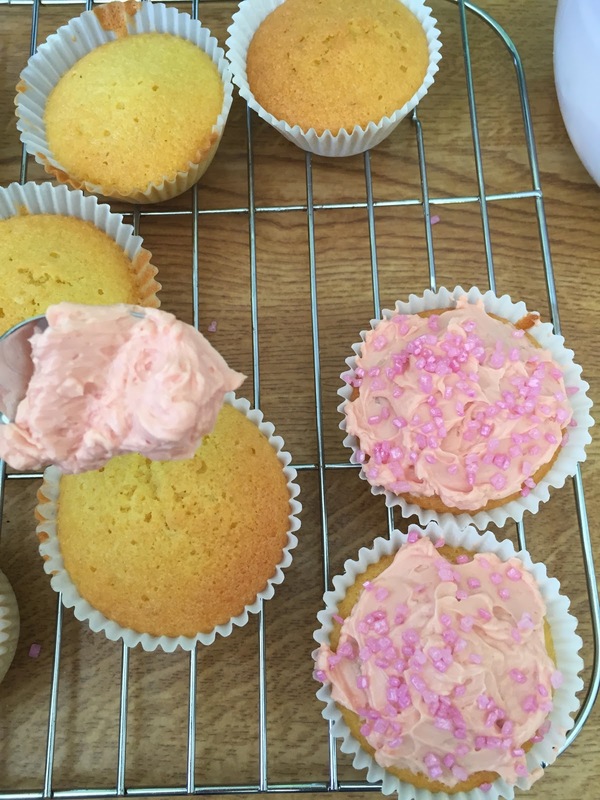 While the cakes are cooking I mixed up the butter icing, mix the icing sugar, butter and vanilla flavouring, once it is blended you can had a tiny drop of the red food colouring, to turn the icing pink. A little goes a really long way with food colouring so make sure you completely mix it in before adding more. 5. Take the cupcakes out of the oven and leave them to cool until completely cold. Then Decorate them! :) We used the pink icing and some pink sprinkles. I am sure all the ones you love with love you even more for making these! What special baking have you done this valentines? If you try these out I would love to see your results!